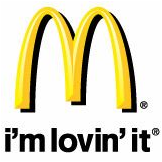 This article, “McDonald’s, Burger King serve up premium gourmet burgers,” USA Today, (September 18, 2009) looks at a recent trend in the fast-food market – the growth of upscale burgers. Students can relate to the fast-food industry and will have their own examples, as well. In this article, “America’s 10 Greenest Brands?” posted on GreenBiz.com on September 29, 2009, we read about a consumer survey that identifies what consumers feel are green brands. Many of my students are interested in sustainability and making green purchase choices. This could be discussed in the context of sustainability, marketing research, or positioning. It could also be a fun example using “Clickers.” I created a question that asked “In a survey of U.S. consumers, which of the following brands was not listed among the U.S.’s 10 greenest brands?” [I had five options – including Disney which surprised me by being on the list – and added Method which was not one of the Top 10.] In addition, ideas from the article can be singled out for discussion. For example, 38% of Brazilian consumers show a willingness to spend a premium of 30% or more to buy green products. “H-P Wields Its Clout to Undercut PC Rivals,” The Wall Street Journal, September 25, 2009. This relatively short article shows how a large PC manufacturer (HP) and a large mass-merchandiser (Wal-Mart) use their power to pressure suppliers to lower costs and deliver lower prices to consumers. Great example of the channel captain concept we bring up in the first Place chapter in our books. “Whirlpool Cleans Up Its Delivery Act,“ The Wall Street Journal, September 24, 2009. It can be tough to find good articles about distribution and logistics – it is even my research area and the few I find are usually pretty dry. 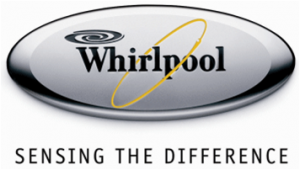 Even though this is a short article, it’s interesting to see that even a big name company like Whirlpool can find opportunities for significant savings and improved customer service in its distribution operations. “A Clip-and-Save Renaissance,” The New York Times, September 23, 2009. There are lots of stories about how increasingly frugal consumers are responding to the current economic downturn. Coupon redemption has declined since its peak in 1992, but in 2008 and 2009 that trend seems to be reversing. The article offers examples that could be used in discussions of consumer behavior, the economic environment, segmentation, and pricing.